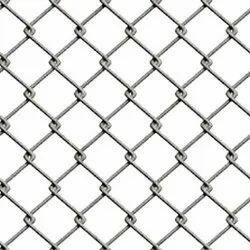 Being an eminent company, we are involved in offering utmost quality of PVC Coated Chain Link Fence. These fencing are used in varied commercial and non-commercial areas for security, widely known with its varied names such as Highway fencing,Garden fencing, forest fencing, industrial fencing, township fencing and many more. Keeping in mind the precise demands of clients, we manufacture and supply a wide range of Airport Fencing Wire Meshes. These are exclusively designed and developed in accordance with international industrial standards. Our products are widely acclaimed for their rugged construction and durable performance. 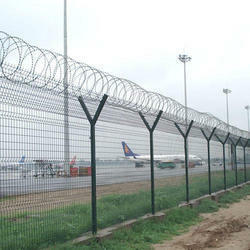 These Airport Fencing Wire Meshes are extensively admired for their robustness and high functional efficiency. 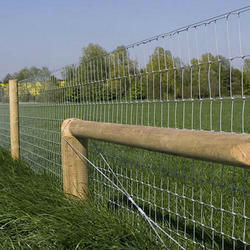 We are offering Agri Fencing for Agricultural and Industrial side. 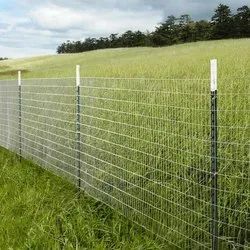 An Agri fencing is a barrier that uses electric shocks to deter animals or people from crossing a boundary and also we provide with best prices. This Chain Link Wire is available in varied specifications of width, length, sizes & height. Chain link wire is manufactured from the rugged raw materials to ensure its durability. They protect the area from the intrusion of wild animals etc. 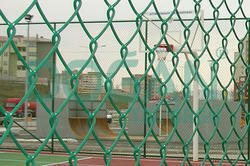 Their rigidity, high strength and anti corrosion property distinguish them from other fencing brand. It can be installed by securely affixing to reinforced cement pole, angle iron poles. We have marked a distinct and dynamic position in the market by manufacturing a quality assured array of Wire Fencing. Looking for PVC Coated Chain Link Fence ?